An injury to the teeth or gums is not only a holiday inconvenience — it’s a potential dental emergency. 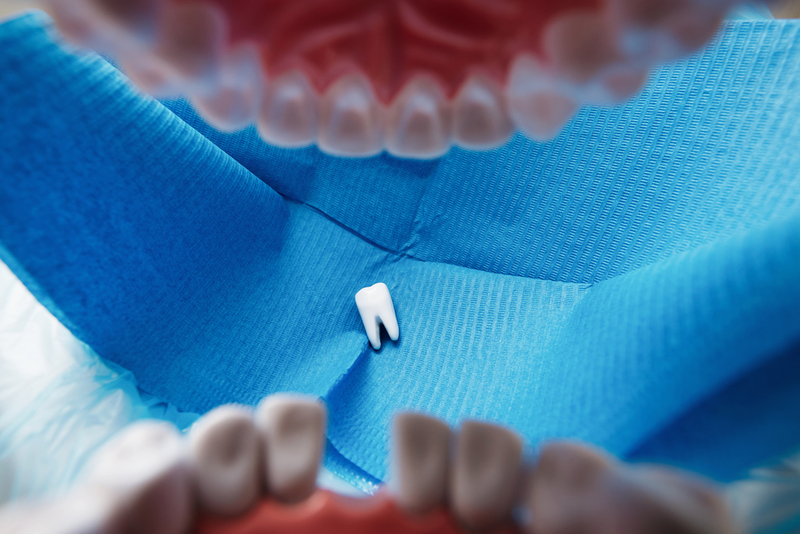 While oral surgery is the last item on your wish list, SoundView Oral & Maxillofacial Surgery in New London, CT, offers care for urgent concerns like broken or dislodged teeth. In contrast to your family dentist, Dr. Sanfilippo is an oral surgeon and can take handle your most challenging dental crises, including everything from dental surgery and wisdom tooth removal to corrective jaw surgery. Chipped Or Broken Teeth: If your tooth chips or breaks, save any pieces you can. Next, rinse your mouth with warm water. If there is bleeding, apply gauze to the area for about 10 minutes, or until the bleeding stops. Apply a cold compress to the outside of the mouth, cheek, or lip near the site of the broken tooth, and seek care immediately. Dislodged Tooth: If your tooth is knocked out, retrieve it and hold it by the crown. Rinse the root if it is dirty, and do not scrub or remove any tissue fragments. If possible, try to put the tooth back in place. If this is not possible, place the tooth in a cup of milk. If unavailable, use water with a pinch of table salt. In all cases, call your oral surgery team immediately. Your tooth has the highest chance of saving within the hour. Partially Dislodged Tooth: To relieve pain, apply a cold compress to the mouth or cheek outside the affected area. See a professional right away. Take an over the counter pain reliever if needed. Toothache: Rinse your mouth with warm water and use dental floss to remove any food particles. If your mouth is swollen, apply a cold compress. Get help as soon as you can. No matter what dental emergency occurs over the holiday season, SoundView Oral & Maxillofacial Surgery in New London will help. From major oral surgery to minor corrective procedures, call Dr. Sanfilippo and his team at (860) 443-3619. For more tips on top holiday concerns, visit their website and like them on Facebook.